is limited to an edition of 25 Only. You can almost feel the tension in the de-briefing taking place "After The Mission". 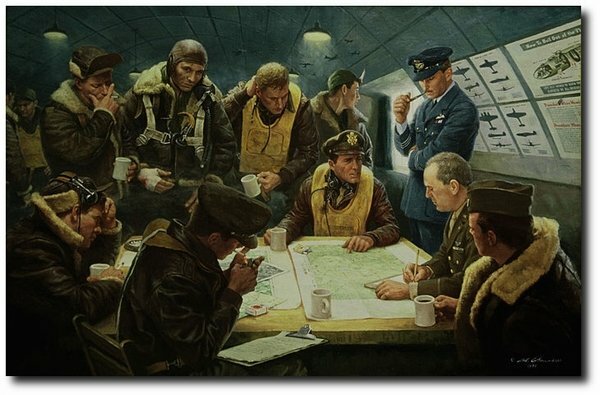 I love the British Officer with his pipe - and the stress on the face of the pilots; makes you realize what they have been through on this mission. You feel like you are there with them in the quanset hut, and as always Gil has captured History.